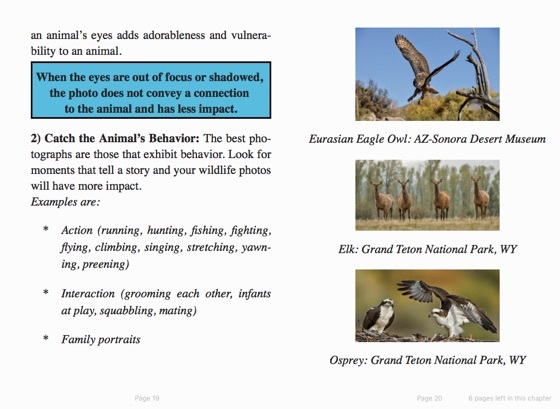 Imagine savoring the experience of an intimate connection between you and a wild animal… and at the same time, capturing that moment in a photograph. Photographing wild animals is one of the most rewarding areas of photography. It touches our emotions, is dynamic and fast moving, and when we allow ourselves to enter an animal’s world, the experience changes our lives. 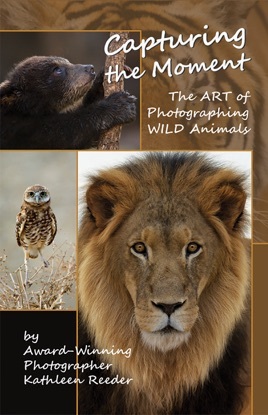 This book will prepare you to take wild animal photos that capture the emotion, the beauty and the thrill. 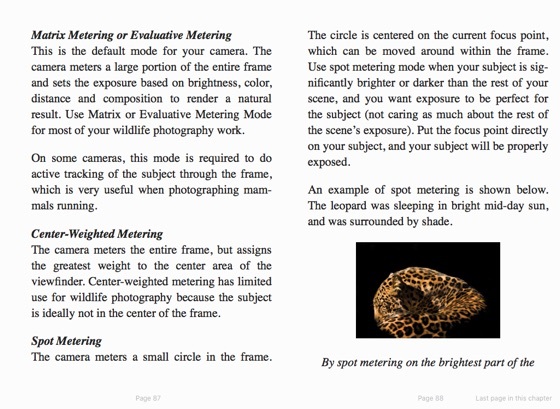 It will benefit photographers of all skill levels, but is geared towards the photographer with a digital SLR camera and basic knowledge of its operation. 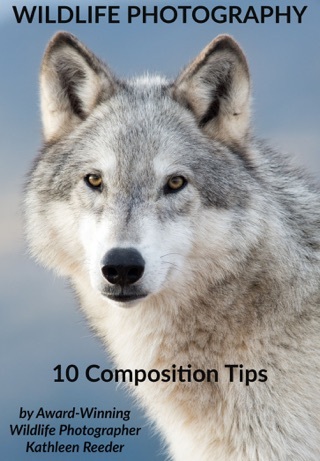 The book outlines the essential compositional elements for wildlife photography, simplifies the technical knowledge needed to effectively operate your equipment and prepares you for spending a day with wildlife. 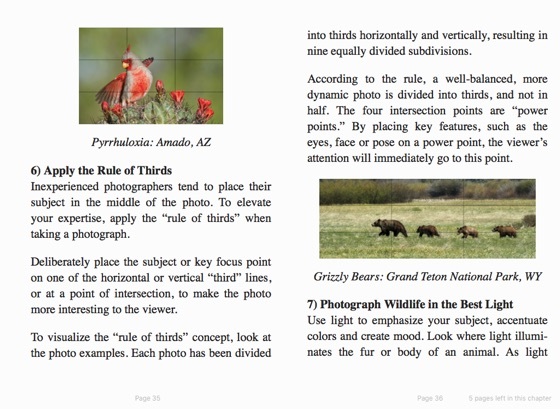 Consider the information presented in this book and you will be rewarded with incredible wildlife photographs that people will love. 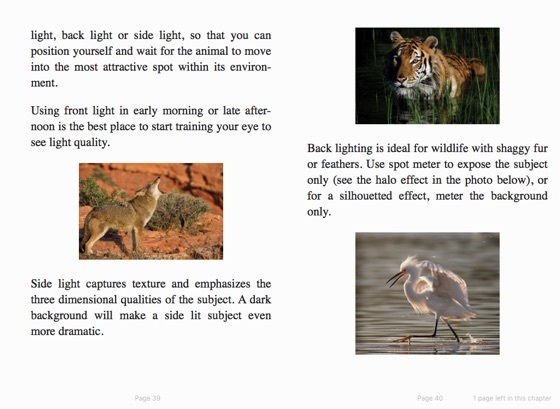 Most of all, the information will enhance your life by documenting your experiences and enable you to relive those special moments when you connect with wildlife. Kathleen as usual has covered the subject thoroughly, and with beautiful examples from her portfolio and travels. 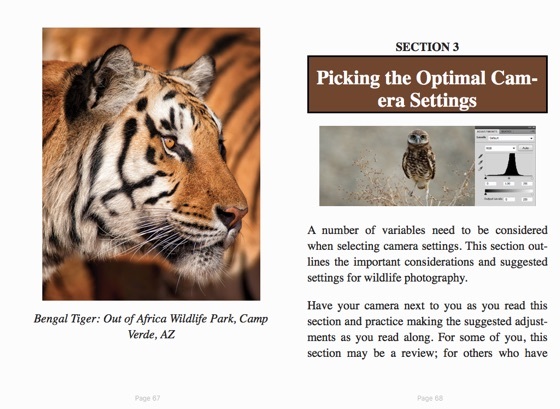 Strongly recommended for anyone either starting out or improving their skills shooting wildlife.